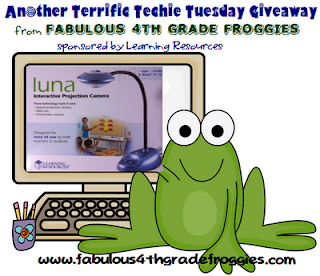 Teach Laugh Plan: Another Techie Tuesday Giveaway! Happy Techie Tuesday my friends! I am excited to tell you about an awesome product that I am giving away and I was privileged to try out thanks to Learning Resources. The Luna Interactive Projection Camera is an awesome, easy to use, must have, piece of equipment. First of all, if you haven't taught with a document camera you don't know what you are missing! Since using one, I can't teach without it! 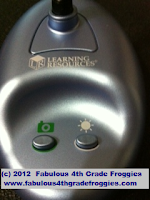 Not only is it so easy to use with my promethean board but my students love to use it too. This particular projection camera has a flexible neck so it can be moved up and down to show whatever image you want. I've showed everything from a tiny meal worm to student presentations. I even show pictures from a book I am reading aloud on the projection camera so I don't hear "I can't see". The color of the image you're projecting in spot on, very clear and vibrant. I love using the camera to project a worksheet on my promethean board so the students can complete a question on the board itself or even do the work by looking a the projected worksheet and completed it in their journals(I've saved many trees not having to make so many copies). This camera is so easy to use. It connects straight into your computer with a USB cord (that is provided) and is powered through the USB as well. It has software that always the image to be on your computer screen as well as your board/screen. It is MAC compatible too! (You will need a projector or an interactive whiteboard in order to use this) It takes pictures and videos (with audio) with just one touch! I love that students can use this to show presentations but to be assessed too! If you have ever been shopping for a projection camera you know that they are expensive. A camera that does what this camera is capable of is minimum $500. Learning Resources sells this camera for under $200. You have the opportunity to win one of these FABULOUS interactive projection cameras right here! But if you don't win and you are needing/wanting a projection camera I definitely recommend getting one of these. You can't beat the quality for the price! Winner will be announced on Sunday June 17th. Wow! what a great prize!!! I have a SMART Board in my room but would love this!!! This would be perfect with my Smart Board! I have a Smartboard and would love to win this! I would love to win this...My projector is being installed today!!!! I would LOVE to have a document camera! I could finally get rid of that bulky old overhead projector... pluse I could do so much more! Great giveaway! I would love to win this! I have always wanted one of these. What an awesome giveaway! I saw one of these at a conference that I was at last month. They are so neat! I thought that it would be an awesome addition to my classroom! Love it....what an amazing prize!!! I have a document camera, Interwrite pad, and the mimio system, but this looks like a ton of fun as well!! I have a smartboard and document camera. This would be something I wouldn't be afraid for the kids to help operate. I will be a first year teacher in the fall and this will be a great addition to my classroom! This would really be good to share student examples. I have a Promethean ActivBoard and would LOVE this! Hi, Lorraine! Winning this would be an answer to a pray...I have wanted one forever! :) Thanks so much for sponsoring this amazing opportunity AND for ALL you do!! I have a SMARTboard and used a document camera all last year that I checked out from the library. It was a cheap one ($50.00) and got very dark when you stood by it. But it was amazing the number of things You could do with it!! Hi there! I use a Mimio bar and pad. I would love to have this to add to my goal of integrating technology into my classroom! This would be awesome to win. So many people have said sooo many great things about this document camera :) Thanks for the chance to win. I have a smartboard and a document camera! I want to win this to give to my team teacher. She would be able to do so much with it in her class. I have had a smartboard, which was wonderful. But I really enjoyed the document camera I used for a term. They are definately worth it! this would be awesome in my class! thanks for the chance to win! I would so love this! The doc camera I have now is old and doesn't work very well. A new one would be fantastic! I would love to win this doc camera!! We have started a new reading program and need one of these to do the daily lesson maps. I have a Promethean board and love it! I have wanted a document camera badly, so thanks for sharing this great product. Also, I enjoy following your blog! 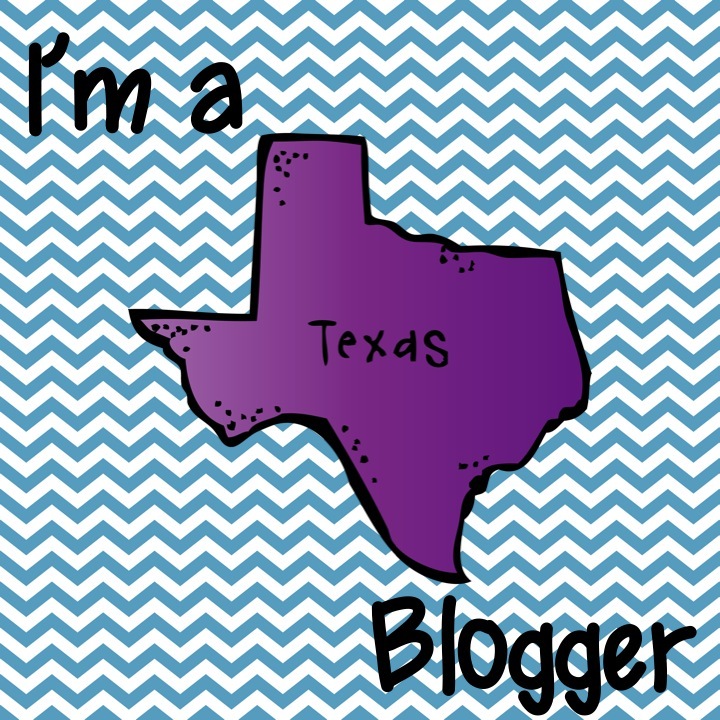 Just found your super cute blog!! I have a Promethean board. Wow! I would love this in my classroom! I have a projector and this would be so great especially with science and math. This would be a great addition to use with the promethean board. WOW!!! What an AWESOME prize!!! Had the opportunity to use a document camera for a short time and loved it! This would be fantastic to use on a daily basis! I would love to win the projection camera! I've been looking at one of these since the beginning of the year. Glad to hear such a glowing review. I would love to have one of these to use instead of transperancies on my overhead. We have very little technology in my high poverty school. Thanks for the opportunity to win this. I would love one of these. I tried to get one through Donors Choose but did have much luck. I would really like to have one to use in my new classroom room next year. I have a Promethean Board and no document camera. This camera looks great! I would love to win this fantastic prize! Thanks for offering it. I've been teaching for 20 years! I would love some NEW technology!! Time to get rid of the overhead projector! So neat! Would love to have one in my classroom! This is great. I would love to have one of these in my classroom, especially since I am a first year teacher and love technology. It will be a great addition to my projector. I have a SmartBoard, but I used to teach with a document camera and I miss it lots! I would love to win! Super cool! Would go great with my SMART Board! Wish I could say I have some technology in my classroom...I have an old projector that will work with a Luna (hope I win!) ...otherwise I share an Elmo with 2 other classrooms and still use my overhead!